Summary: So this week i finished up both of the proxy rigs except for the hands. But the animators can begin! So I found out i found my twist attribute was not good enough to replace making pole vector controls. It took me a awhile to set up in the beginning. But I found an amazing trick to set them up, which saved me a lot of time. From there i added a lot of extra controls. I added visibility controls to hide different parts of the proxy rig, and the global controls for the flexiplane rig. I added space matching for the pole vectors, feet and hands. 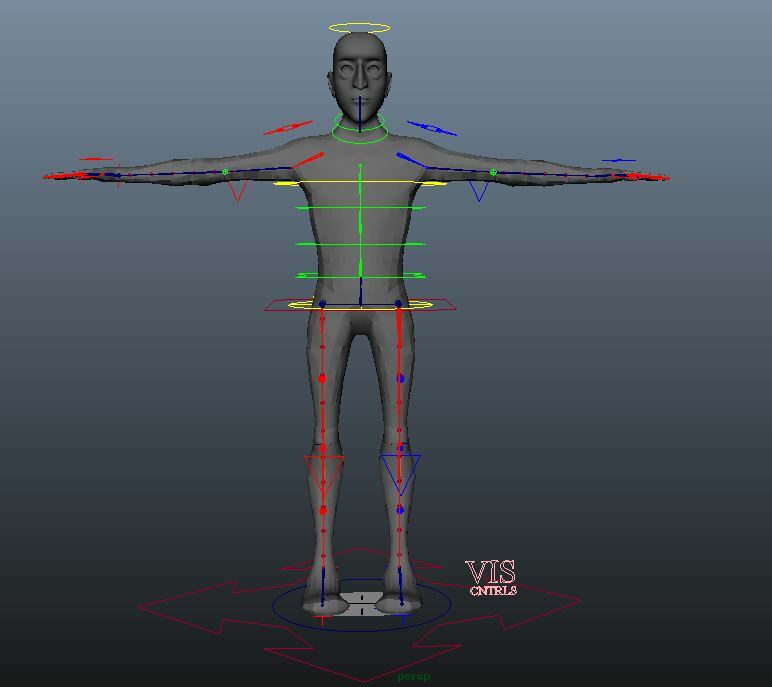 The leg pole vectors can now follow the body control, or the ik control. The arm pole vectors can follow the ik control, the clavicle control, and the body control. 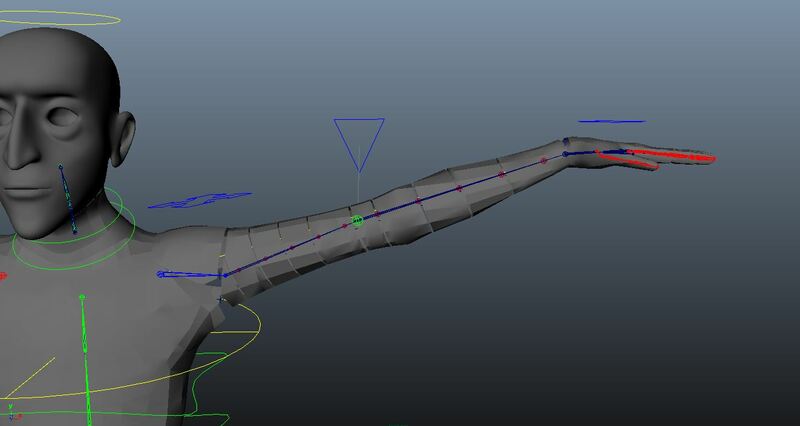 I added added auto clavicle controls for both arms. The feet can switch between local space and world space. I added a attribute to the elbow bend controls to follow the pole vector control.The arms can switch between local, head, and world space. I also attached curves to the pole vectors. Just in case the pole vectors get lost in geometry. A minor add, but I colored coded the rig. Positive stuff : Animation can begin… I hope! Problems/ issues : Setting up the pole vectors. The twist in dyers forearm was off. I fixed it but I am not sure if still looks incorrect. Summary: I would not say what i learned in Houdini this week directly influences our current progress. But it will help later down the road. 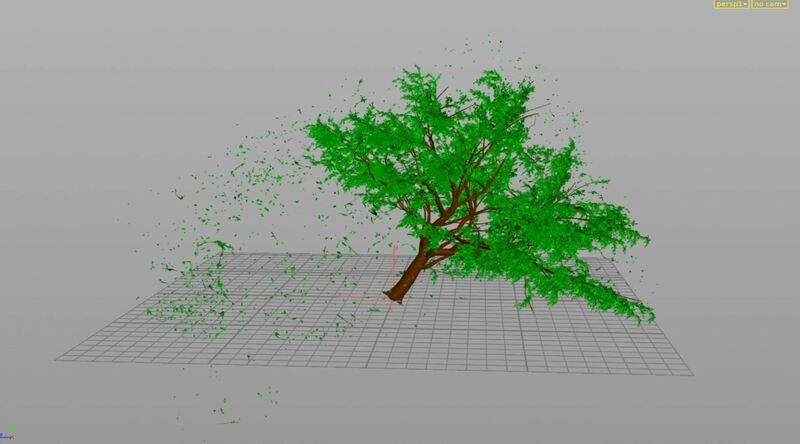 I went through the first part of one of my fxphd courses that goes over tree animations. It went deep into complex topics in houdini. Positive stuff : Going through the course helped show me more the power of Houdini. 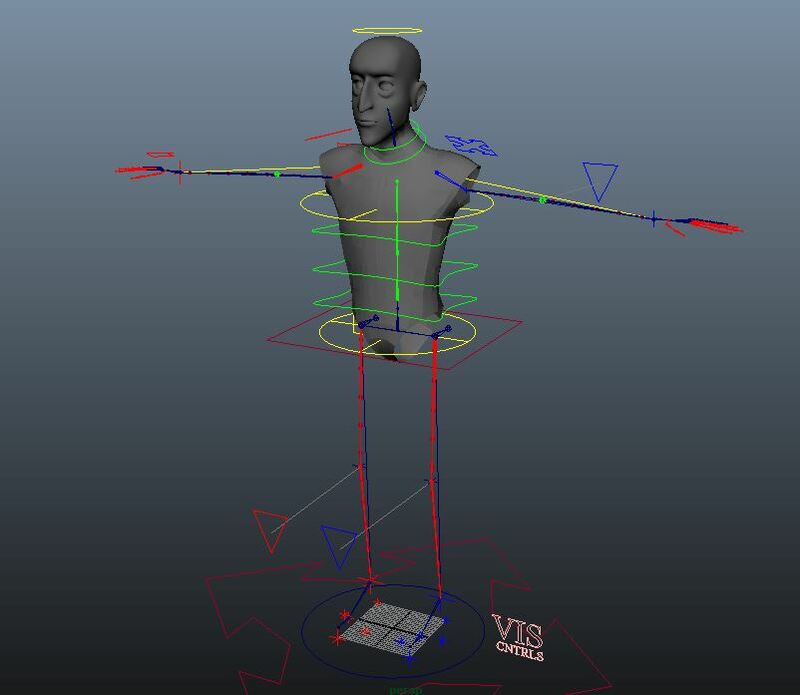 Problems/ issues : Houdini can get complicated fast.